Siddharth Thaker, MRICS is the Managing Partner at Prognosis Global Consulting; a full service Consulting, Technology and Asset Management services company focused on Hospitality, Leisure and Food Services industry in the South Asia Region. 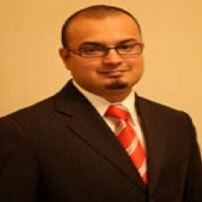 Siddharth is a member of Royal Institute of Chartered Surveyors (RICS). In over a decade’s consulting experience in the Hospitality Industry, Siddharth has lead various Asset Management and Strategic Advisory Engagements, and conducted Feasibility Studies and Valuations for major Hotel Brands, Institutional Investors and Individual Owners across various cities in South Asia. Prior to incubating Prognosis Global Consulting in 2011, he was Managing Director at HVS Asset Management and Strategic Advisory. Before leading the Asset Management and Strategic Advisory group, Siddharth was the Executive Director at HVS Consulting and Valuation Services. He has also worked with Le Meridien Hotels & Resorts with engagements in the MEWA region and with the Taj Hotels, Resorts and Palaces.